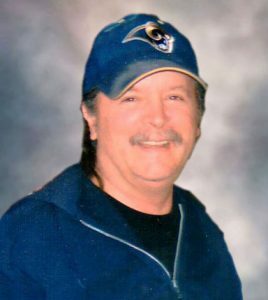 Donald A. Blumentritt, 67, of Waterloo, died Feb. 10, 2019, in St. Louis. He was born Nov. 14, 1951, in St. Louis, son of the late Eldon Blumentritt, Evelyn Blumentritt and Elaine Blumentritt. He is survived by his wife Frances “Nan” S. Blumentritt; stepsisters Vicki (Ron) Keller and Karen (Ron) Mathis; step-mother Adeline Blumentritt; brother Bob Blumentritt; brothers- and sisters-in-law Morton (Kathy) Davis, Mary Bono, Mildred Curley, Michael (Debbie) Davis, Elizabeth (John) Schaefer, Joseph Davis and Harry (Lynn) Davis; and nieces, nephews, cousins and beloved friends, along with the Sawyer family. Donald was preceded in death by his parents and brother-in-law Edmund Davis. In lieu of flowers, the family prefers contributions to the American Heart Association. Visitation is 8-11 a.m. Feb. 16, at Quernheim Funeral Home, Waterloo. 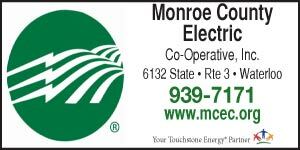 Funeral services will be at 11 a.m. Feb. 16, at the funeral home, Pastor Patrick Poole officiating. Interment will follow at Waterloo Cemetery, Waterloo.